Halloween isn’t just fun because of costume parties and trick-or-treating. Halloween is like Christmas to many, including myself. 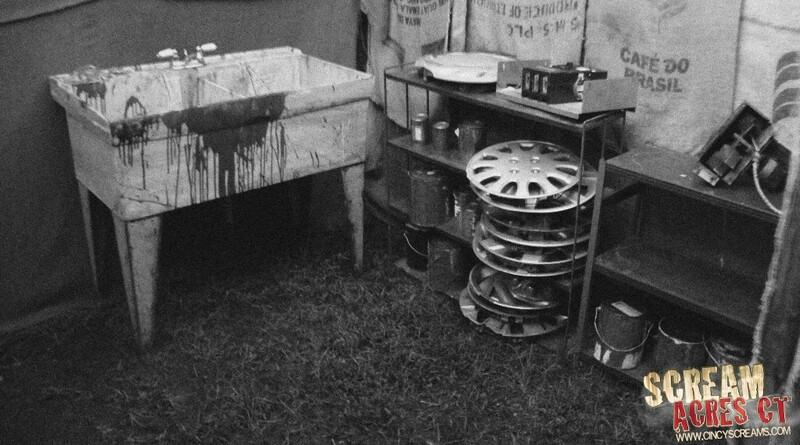 September means we are just days closer to haunts kicking off around the country. You can’t just go to one haunt because it will make you thirsty to find another one. 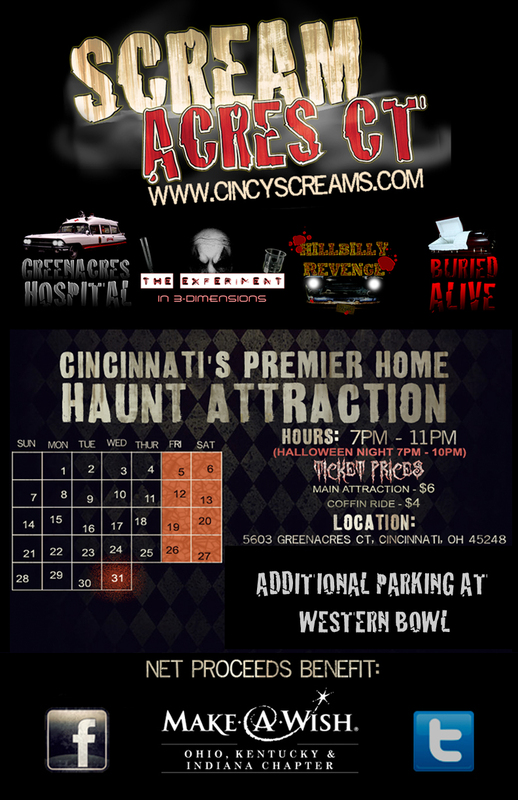 If you live in the Cincinnati area, you can drop in and check out Scream Acres CT on select nights in October. Scream Acres Court is entering their 9th year of operation this fall. The haunt started off nine years ago as a simple home haunt, but has grown and expanded over the years. The owner of the haunt, Ryan, told us that last year the haunt got so big, they decided to donate their earnings to the Make-A-Wish Foundation to give back to their community. The haunt started off as a family-owned haunt nine years ago, and it will continue that way. You can check out our interview with Ryan below. The Experiment I’m 3-Dimensions will feature the return of the dot room, which is a fan favorite. It will also feature a lot of new effects. Pa enjoys lady fingers and Ma just wants to show your her adorable baby.. Better watch out. Buried Alive is a coffin ride. Ryan and Scream Acres CT will continue to donate to Make-A-Wish during their 2012 haunt. 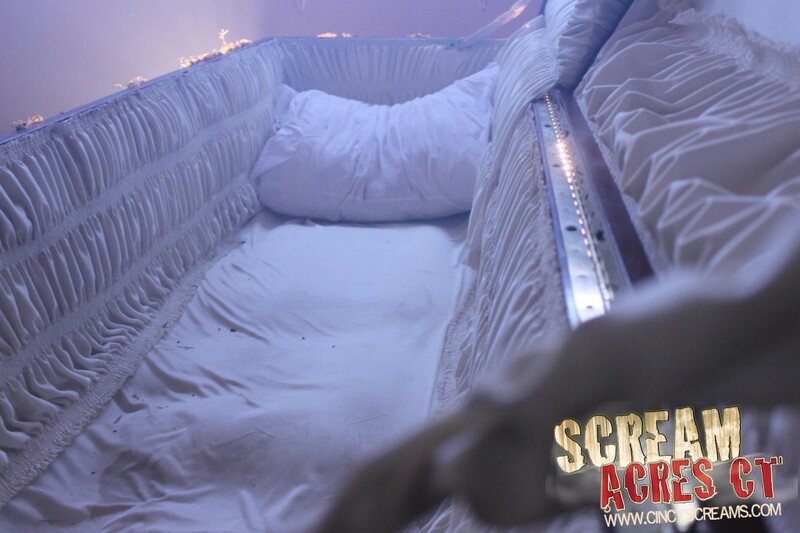 The three themed attractions cost $6, and the coffin ride costs $4. 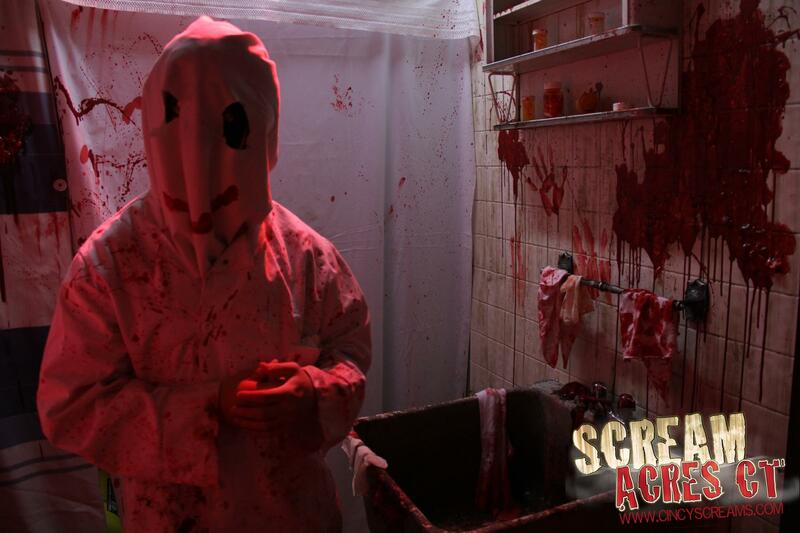 Scream Acres CT will open on October 5th and take place each Friday and Saturday night in the month of October from 7pm-11pm. Scream Acres CT will also be open on Halloween night from 7pm-10pm. Jimmy Johns will also be out handing out free samples of their products each event night. 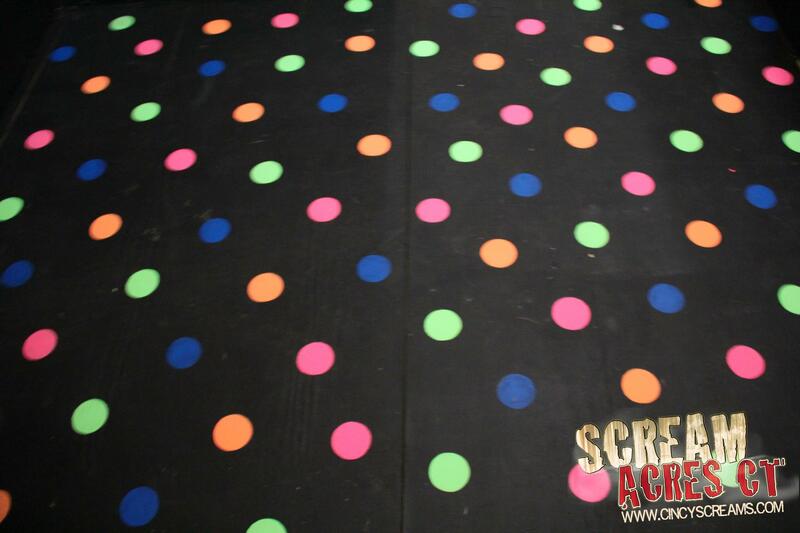 For more information about Scream Acres CT, visit the official website. Also, be sure to “like” them on Facebook. Mysterious package gives clues about Knott’s Scary Farm!